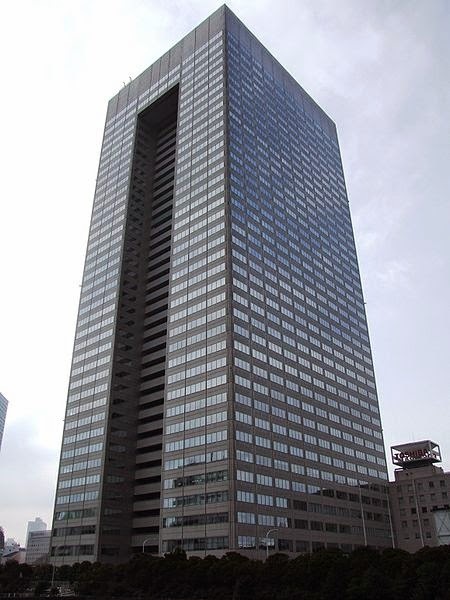 Toshiba Corporation (株式会社東芝 Kabushiki-gaisha Tōshiba) (stylized as TOSHIBA) is a Japanese multinational conglomerate corporation headquartered in Tokyo, Japan. Its diversified products and services include information technology and communications equipment and systems, electronic components and materials, power systems, industrial and social infrastructure systems, consumer electronics, household appliances, medical equipment, office equipment, lighting and logistics. Toshiba was founded in 1938 as Tokyo Shibaura Electric K.K. through the merger of Shibaura Seisaku-sho (founded in 1875) and Tokyo Denki (founded in 1890). The company name was officially changed to Toshiba Corporation in 1978. 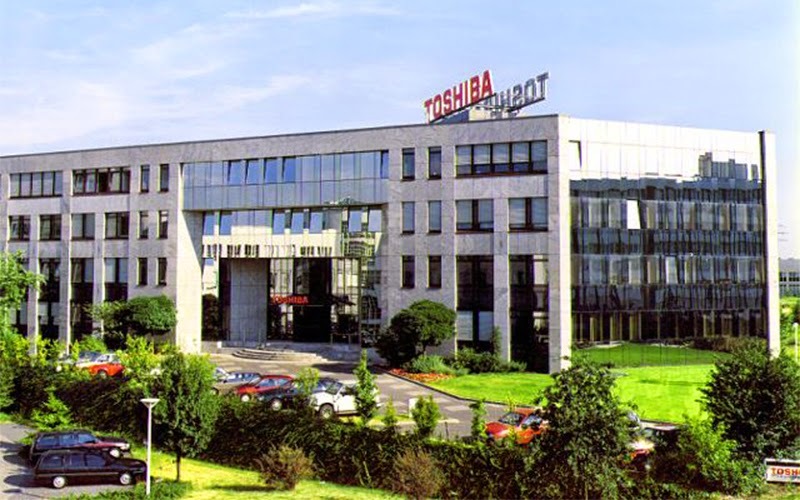 Toshiba has made numerous corporate acquisitions during its history, including of Semp in 1977, of Westinghouse Electric Company in 2006, of Landis+Gyr in 2011, and of IBM's point-of-sale business in 2012. Toshiba is organised into four business groupings: the Digital Products Group, the Electronic Devices Group, the Home Appliances Group and the Social Infrastructure Group. In 2010, Toshiba was the world's fifth-largest personal computer vendor measured by revenues (after Hewlett-Packard, Dell, Acer and Lenovo). In the same year, it was also the world's fourth-largest manufacturer of semiconductors by revenues (after Intel Corporation, Samsung Electronics and Texas Instruments). Toshiba was founded in 1939 by the merger of Shibaura Seisakusho (Shibaura Engineering Works) and Tokyo Denki (Tokyo Electric). Shibaura Seisakusho had been founded as Tanaka Seisakusho by Tanaka Hisashige in 1875 as Japan's first manufacturer of telegraph equipment. In 1904, it was renamed Shibaura Seisakusho. Through the first decades of the 20th century Shibaura Seisakusho had become a major manufacturer of heavy electrical machinery as Japan modernized during the Meiji Era and became a world industrial power. Tokyo Denki was founded as Hakunetsusha in 1890 and had been Japan's first producer of incandescent electric lamps. It later diversified into the manufacture of other consumer products and in 1899 had been renamed Tokyo Denki. The merger of Shibaura and Tokyo Denki created a new company called Tokyo Shibaura Denki (Tokyo Shibaura Electric) (東京芝浦電気). It was soon nicknamed Toshiba, but it was not until 1978 that the company was officially renamed Toshiba Corporation. The group expanded rapidly, driven by a combination of organic growth and by acquisitions, buying heavy engineering and primary industry firms in the 1940s and 1950s. Groups created include Toshiba Music Industries/Toshiba EMI (1960), Toshiba International Corporation (1970s) Toshiba Electrical Equipment (1974),Toshiba Chemical (1974), Toshiba Lighting and Technology (1989), Toshiba America Information Systems (1989) and Toshiba Carrier Corporation (1999). 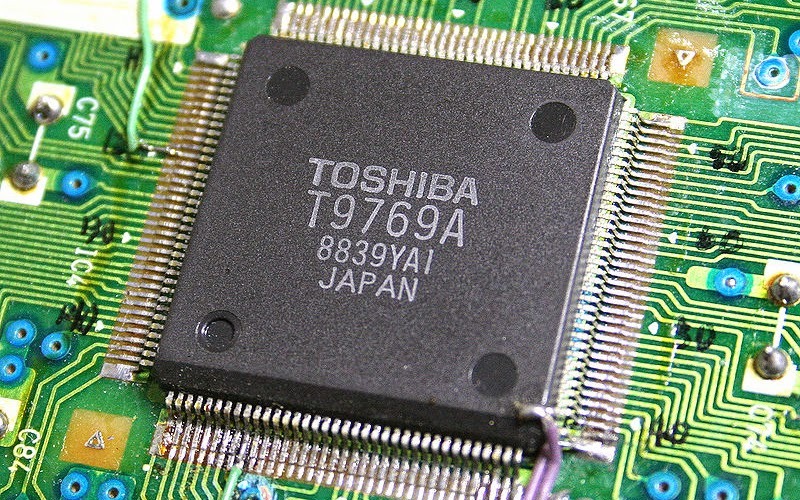 Toshiba is responsible for a number of Japanese firsts, including radar (1912), the TAC digital computer (1954), transistor television and microwave oven (1959),color video phone (1971), Japanese word processor (1978), MRI system (1982), laptop personal computer (1986), NAND EEPROM (1991), DVD (1995), theLibretto sub-notebook personal computer (1996) and HD DVD (2005). In 1987, Tocibai Machine, a subsidiary of Toshiba, was accused of illegally selling CNC milling machines used to produce very quiet submarine propellers to the Soviet Union in violation of the CoCom agreement, an international embargo on certain countries to COMECON countries. The Toshiba-Kongsberg scandal involved a subsidiary of Toshiba and the Norwegian company Kongsberg Vaapenfabrikk. The incident strained relations between the United States and Japan, and resulted in the arrest and execution of two senior executives, as well as the imposition of sanctions on the company by both countries. Senator John Heinz of Pennsylvania said "What Toshiba and Kongsberg did was ransom the security of the United States for $517 million." 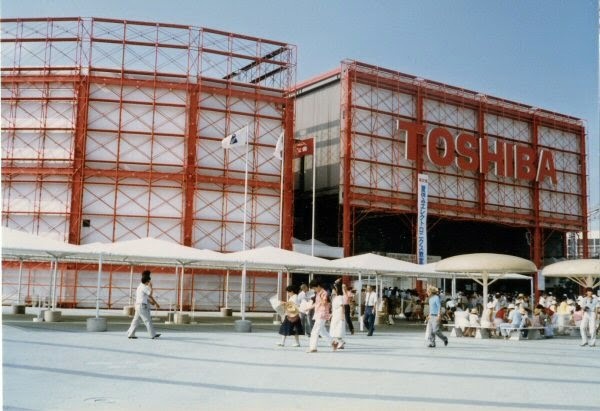 In 2001, Toshiba signed a contract with Orion Electric, one of the world's largest OEM consumer video electronic makers and suppliers, to manufacture and supply finished consumer TV and video products for Toshiba to meet the increasing demand for the North American market. The contract ended in 2008, ending 7 years of OEM production with Orion. In July 2005, BNFL confirmed it planned to sell Westinghouse Electric Company, then estimated to be worth $1.8 billion (£1 billion). The bid attracted interest from several companies including Toshiba, General Electric and Mitsubishi Heavy Industries and when the Financial Times reported on January 23, 2006 that Toshiba had won the bid, it valued the company's offer at $5 billion (£2.8 billion). The sale of Westinghouse by the Government of the United Kingdom surprised many industry experts, who questioned the wisdom of selling one of the world's largest producers of nuclear reactors shortly before the market for nuclear power was expected to grow substantially; China, the United States and the United Kingdom are all expected to invest heavily in nuclear power. The acquisition of Westinghouse for $5.4bn was completed on October 17, 2006, with Toshiba obtaining a 77% share, and partners The Shaw Group a 20% share and Ishikawajima-Harima Heavy Industries Co. Ltd. a 3% share. Toshiba announced on May 16, 2011, that it had agreed to acquire all of the shares of the Swiss-based advanced-power-meter maker Landis+Gyr for $2.3 billion. In April 2012, Toshiba agreed to acquire IBM's point-of-sale business for $850 million, making it the world's largest vendor of point-of-sale systems. 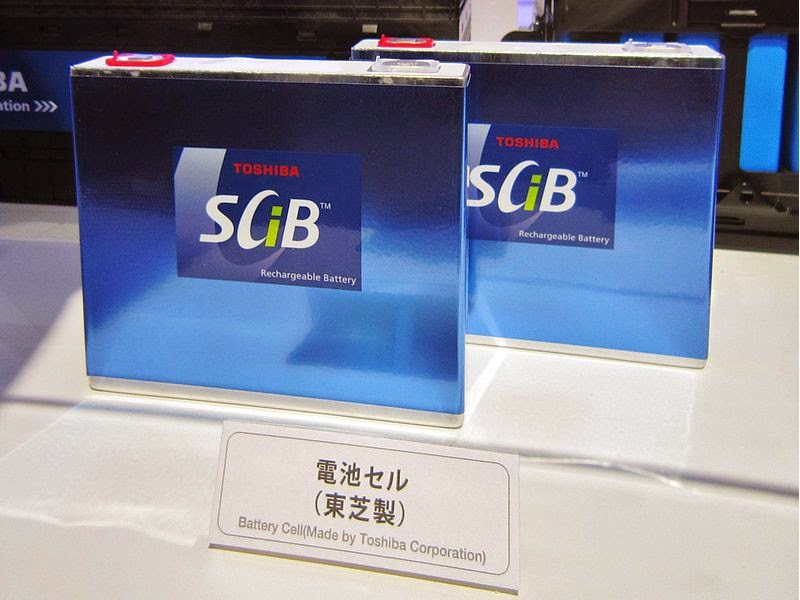 In January 2014, Toshiba completed its acquisition of OCZ Storage Solutions. In October 2014, Toshiba and United Technologies agreed a deal to expand their joint venture outside of Japan. Toshiba is organised into four main business groupings: the Digital Products Group, the Electronic Devices Group, the Home Appliances Group and the Social Infrastructure Group. In the year ended 31 March 2012, Toshiba had total revenues of ¥6,100.3 billion, of which 25.2% was generated by the Digital Products Group, 24.5% by the Electronic Devices Group, 8.7% by the Home Appliances Group, 36.6% by the Social Infrastructure Group and 5% by other activities. In the same year, 45% of Toshiba's sales were generated in Japan and 55% in the rest of the world. 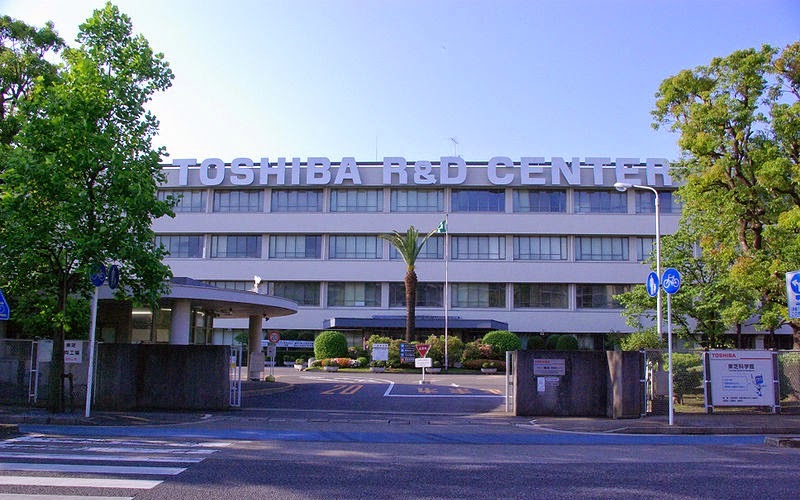 Toshiba has 39 R&D facilities worldwide, which employ around 4,180 people. 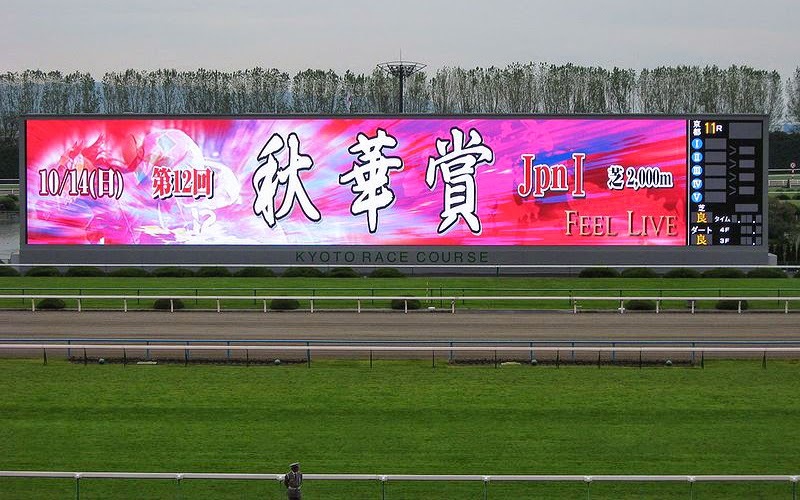 Toshiba invested a total of ¥319.9 billion in R&D in the year ended 31 March 2012, equivalent to 5.2% of sales. 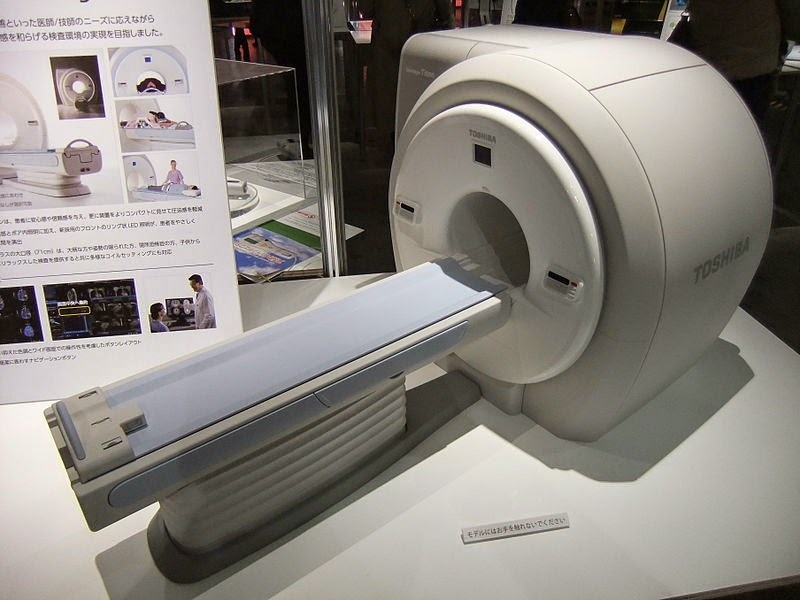 Toshiba registered a total of 2,483 patents in the United States in 2011, the fifth-largest number of any company (after IBM, Samsung Electronics, Canon and Panasonic). Toshiba offers a wide range of products and services, including air conditioners, consumer electronics (including televisions and DVD and Blu-ray players), control systems (including air-traffic control systems, railway systems, security systems and traffic control systems), electronic point of sale equipment, elevators and escalators, home appliances (including refrigerators and washing machines), IT services, lighting, materials and electronic components, medical equipment (including CT and MRI scanners, ultrasound equipment and X-ray equipment), office equipment, business telecommunication equipment personal computers, semiconductors, power systems (including electricity turbines, fuel cells and nuclear reactors) power transmission and distribution systems, and TFT displays. 4K Ultra HD (3840x2160p) TVs provides four times the resolution of 1080p Full HD TVs resulting in higher quality resolution. Toshiba’s 4K HD LED TVs are powered by a CEVO 4K Quad + Dual Core Processor. On February 19, 2008, Toshiba announced that would be discontinuing its HD DVD storage format following defeat in a format 'war' against Blu-ray. The HD DVD format had failed after most of the major US film studios backed the Blu-ray format, which was developed by Sony, Panasonic, Philips, Pioneer and Toshiba's President, Atsutoshi Nishida. "We concluded that a swift decision would be best [and] if we had continued, that would have created problems for consumers, and we simply had no chance to win". REGZA (Real Expression Guaranteed by Amazing Architecture) is a unified television brand owned and manufactured by Toshiba. REGZA name was eliminated in 2010 for the North American market citing switch in television production to Compal Electronics. 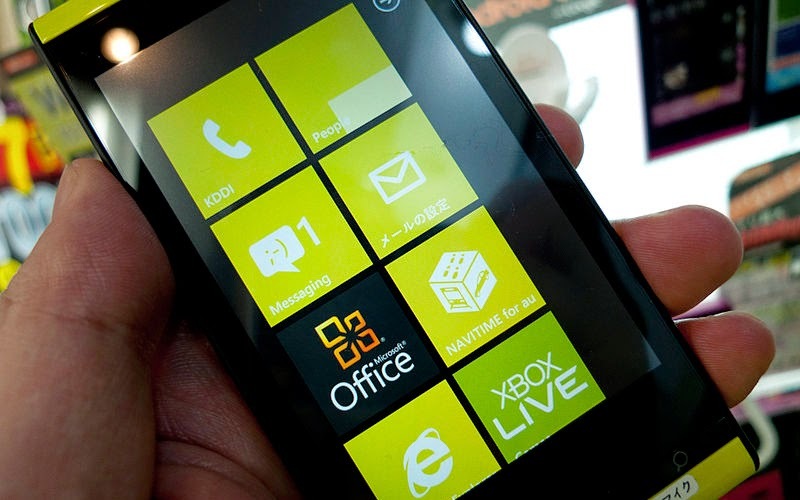 REGZA is also used in Android-based smartphones that were developed by Fujitsu Toshiba Mobile Communications. On December 28, 1970 Toshiba began the construction of unit 3 of the Fukushima Daiichi Nuclear Power Plant which was damaged in the Fukushima I nuclear accidents on March 14, 2011. In April 2011 CEO Norio Sasaki declared nuclear energy would "remain as a strong option" even after the Fukishima I nuclear accidents. Last updated on 23 October 2014 at 13:20.